Travel Show .com shows you the world of travel! New York Times Travel Show - Get ready to see the world in a whole new way. The third annual New York Times Travel Show is a passport to discovery, a dynamic, interactive experience where everyone passionate about travel can explore premiere destinations, properties, products and services — and book trips on the spot. Exhibitors and sponsors have the opportunity to reach 25,000 avid travelers and travel professionals through integrated promotional programs at this unique show. An impressive array of exhibitors creates the ultimate travel destination, a place where there is always something new to discover. The BostonGlobe Travel Show: - Bringing the World To Boston. Slated for the weekend of March 23-25, 2007 at the Seaport World Trade Center Exhibition Hall, it will be the first expo of its kind in Boston.The event will showcase destinations from around the world, and will include an extensive program of travel exhibits and cultural activities. Los Angeles Times Travel Show - Don’t miss the 2007 Los Angeles Times Travel Show with Adventures in Travel Expo and The Luxury Show at the Long Beach Convention Center. It’s the West's largest travel event! From safaris to scuba diving, wind surfing to wine tours, archeology excursions to algae wraps, here's where you’ll discover amazing travel destinations, attractions, activities, resorts, products, luxury goods and services and so much more from over 500 leading exhibitors — from all parts of the world! It’s two days of incredible "travel" with free seminars and panel sessions featuring leading travel experts plus cultural entertainment and lots of opportunities to win fabulous trips! Manly Travel Show - The fourth annual Manly Travel Show is your passport to the best domestic and international holiday experiences. In one day you can explore some of the world's most exciting destinations, and discuss your holiday plans with professionals who are passionate about travel. Once you've planned your perfect holiday, our expert consultants are on hand to book your seat on the trip of a lifetime - special show discounts available only on the day could save you thousands on your next holiday. And, best of all, admission is free. Canada's Largest Trade Consumer Travel Show - You're ready to travel. The bags are practically packed and waiting at the door. Now is the time to visit the Travel & Leisure Show. Whether you want to travel to a remote destination, explore exotic locales or enjoy a leisurely daytrip, the Travel and Leisure show is your first stop. With over 220 exhibitors, we are the premier source for destination information. Exciting contests, incredible demos and top entertainment - this is the ultimate event for anyone interested in travel! 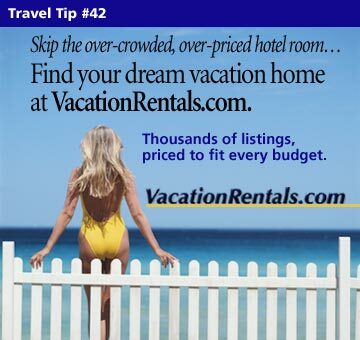 And you might just win your dream vacation! All these exciting opportunities are under one roof and so easy to access. Take your car down to the International Centre and park for free OR take the direct GO Transit bus from Yorkdale or York Mills subway stations. The TNT Magazine Travel Show - The TNT Magazine Travel Show (formerly Independent Travellers World) is a travel exhibition in the heart of London where you can plan and book your next trip in a fun, friendly and energetic environment. Like the magazine itself, the TNT Magazine Travel Show provides Antipodean travellers with the latest information and advice on how to make the most of their travel experiences while in the UK. Meet a wide range of European, overseas and UK travel-related exhibitors, including travel agents, flight and accommodation providers, travel equipment providers, tourists boards and overland operators. While you're there, you can also take in the popular travel talks programme, internet zone, bar and chillout zone. Colorado RV Adventure Travel Show - Come discover the freedom and fun of RV travel! See all new 2006 RV models from Colorado’s Front Range RV dealers ranging from $250,000 and up Class A motorhomes to compact, light-weight, easy-to-pull tent trailers. Fifth-wheel models, truck toppers, travel trailers and more will be on display.